I've just spent the last few days attending my first meeting of the British Columbia Teachers Federation Committee for Action on Social Justice (it's so cool that my union values social justice), as an environmental justice representative. Our meeting coincided with the Truth and Reconciliation events being held here in Vancouver, and so we spent a day there, taking in the Education Day events. 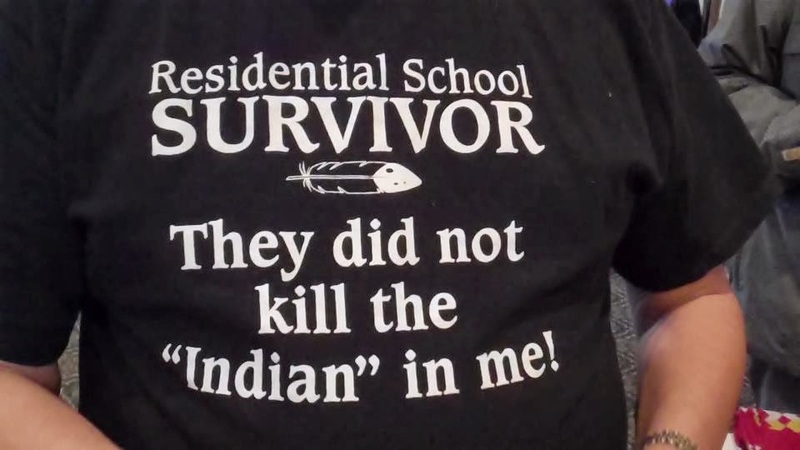 Stories of the abuses that happened in Canada's "Indian" residential schools are harrowing. It's frightening to learn what Canada and its religious institutions did to 150,000 First Nations children who were stolen from their parents. We all need to serve as witnesses and acknowledge this horrifying legacy — and the intergenerational pain and dysfunction it has caused in many families and communities. Part of the pain, and the perpetuation of this pain, has been the denial that these things ever happened. But the student events that I attended were filled with hope and healing. I started wondering about the right age for children to learn the history of residential schools ... and global climate change. Here's what I realized. 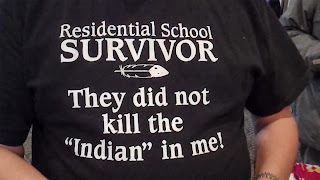 We can and must tell children about the residential school legacy (even though a new First Nations friend was called a liar when he presented this truth during a workshop a few months ago). It's something that happened in the past. And through acknowledgement, witnessing, listening and hearing, we can contribute to reconciliation. But how do we tell children about something abusive and harrowing that's happening to their planet right now, something that's killing their future? Something they just can't fix. What do we tell them? There's no hug, no comfort, no witnessing, no reconciliation in the world big enough to make this right for the children as long as we adults remain in denial and disaction. I also attended the Truth and Reconciliation event in Vancouver and was left with both a sense of the strength and hope of the survivors who told their stories, and of the horror of what my people did to them. As I ponder what I can do to make amends, I remember what one survivor said, looking at the audience: "If you are serious about reconciling with us, you can stand with us to protect the land against the Pipelines that are threatening it." I think you are right, Julie, in linking the abuse done to generations of First Nation children, and the abuse done to the earth and the horror of global climate change. I am committed to continue to fight to protect the land, and am encouraged to think that this is a step towards reconciliation with my First Nations neighbours.